January 2017: Harding Township, the owner of Glen Alpin, continues to investigate measures to allow them to dispose of Glen Alpin. Currently, they are exploring auction or sale. PNJ will continue to monitor the situation and provide updates on our website. Glen Alpin, a 22-room, 14,000 square foot mansion, has been called one of the finest examples of Gothic Revival style architecture in New Jersey. Glen Alpin is situated in an area of Morris Country that has long attracted the wealthy seeking escape to country “cottages.” Facilitated by the extension of suburban rail lines west from the commercial centers of Newark and New York, American industrialists aspiring to the lifestyles of landed English gentry developed grand estates throughout this area during the 19th century. Constructed in 1847, Glen Alpin is one of the earliest of the area’s remaining Country Houses. Prior to Glen Alpin’s construction, the property was the site of a 1,250-acre farm known as Mount Kemble, established in the 1750s by Peter Kemble, a longtime member and once-president of the royal council governing the English colony of New Jersey. Mount Kemble became a Continental Army encampment during the Revolution. The graves of the controversial Peter Kemble and his family remain on the property today. When wealthy New York couple Henry and Frances Hoyt bought Mount Kemble in 1847, they relocated the Kemble house and built the present villa constructed of native puddingstone, with steep cross-gables, elaborate gingerbread trim, and pointed-arch windows. David Hunter McAlpin purchased the house in 1885, changing the name to Glen Alpin while adding the glass conservancy, the red tile roof, and two porches, one of which has since been removed. His son Charles inherited the property in 1901, adding the library and elaborate gardens. Although the house cycled through three additional private owners during the 20th century, it retains remarkable historical detail. Original and historic woodwork, stonework, stained glass, and murals are just a few of the extant architectural features of this unique property. Glen Alpin is a contributing property to the New Jersey and National Register-listed Tempe Wick Road/Washington Corners Historic District. This distinctive mansion and its associated open land make this corner property an important “visual gateway” to Harding Township and neighboring resources such as the Morristown National Historical Park. In 2004, recognizing the significance of Glen Alpin to the area, the Township of Harding and the Harding Land Trust, assisted by the Trust for Public Land, partnered to purchase the nine-and-a-half-acre Glen Alpin property with the assistance of Green Acres funding, the Morris County Open Space Trust Fund, and the Morris County Park Commission. The municipality has jurisdiction over the house, for which a non-profit, the Glen Alpin Conservancy, was formed and serves as the primary fundraising entity and advocate. The threat to Glen Alpin is a common one for historic resources: this property needs a long-term, sustainable use. 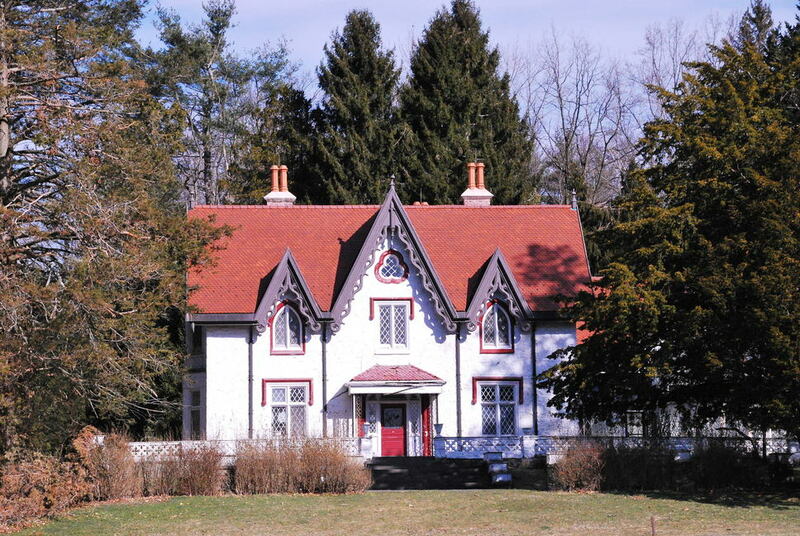 Since 2005, over $1.5 million in private donations, township funding, and grant funding from the Morris County Historic Preservation Trust and the New Jersey Historic Trust has helped fund a new roof, structural improvements, installation of a new heat, air conditioning, and security systems, electrical upgrades, and additional architectural services at Glen Alpin. However, since 2008, the Glen Alpin Conservancy has been unable to secure approval from the Harding Township Committee to pursue additional restoration grant funding, despite offers to raise any match required and administer any grants received. Changes in local political leadership, along with the economic downturn, have led to shifting ideals and priorities, jeopardizing future stewardship. While the Glen Alpin Conservancy maintains a vision of the house as being restored for public use, the municipality most recently appears dedicated to finding a private tenant for the property. Disagreements about future use, stewardship responsibilities, and fundraising have brought the issue to a stalemate in recent years. Meanwhile, Glen Alpin languishes. The building is unoccupied, and without plumbing. The Township keeps minimal heat on in the building, and believes the building is secure as they work toward a purpose. There remain significant questions about Glen Alpin’s future use options. As Green Acres money from the State of New Jersey, as well as Morris County Open Space Trust funding, was used to purchase the property, there are restrictions as to how the property can be used, and questions about the specifics of the jurisdiction of each interested party. Recently, discussions about the future of Glen Alpin have begun again in earnest, but a quick solution is needed to continue improvements and avoid deterioration of the work already completed on the house. Consistent attention and dedication from all interested parties is imperative. Preservation New Jersey encourages the interested parties in their renewed efforts to preserve Glen Alpin. We urge Harding Township and the Glen Alpin Conservancy to work together to take full advantage of available resources and effectively leverage the community’s passion for preserving this property. A progressively cooperative effort will be necessary to further the preservation and restoration efforts and facilitate the shared goal of finding a suitable use for the building. Glen Alpin is emblematic of similar challenges faced by many historic properties throughout New Jersey. Although this resource has been “protected” via purchase agreements and easements, as progress lags, the actual long-term survival of the house falls further and further into question. Yet this landmark is ripe with potential. Situated midway between Morristown and Basking Ridge, the house is easily accessible from Route 287 and located on a busy corridor that is home to new offices, shops, banks, housing, and eateries. While the options for use and stewardship are varied, the time available to figure out a sustainable solution for this landmark is limited. There are groups and agencies positioned to help, and with renewed cooperation and dedication, the challenges can be overcome, prior investment capitalized upon, and Glen Alpin returned to its place as a community asset.